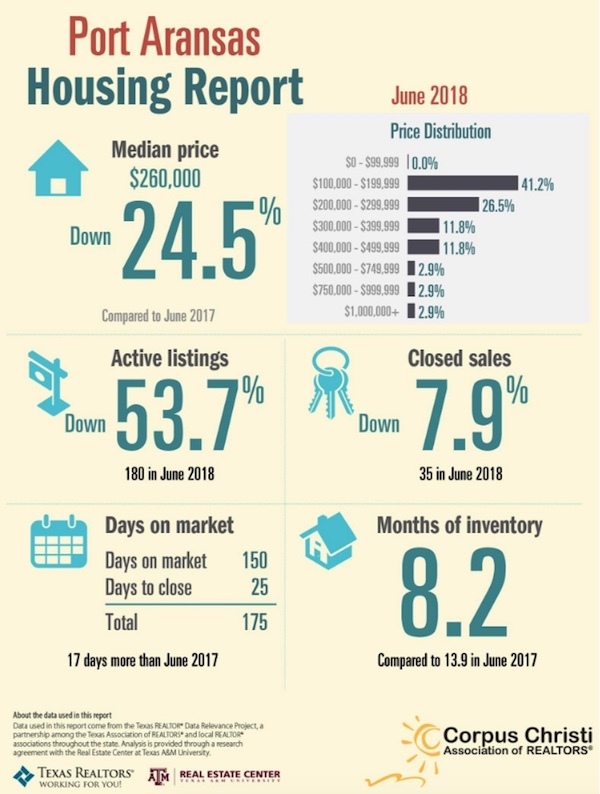 PORT ARANSAS, Texas - July 14, 2018 – The Corpus Christi Association of REALTORS® (CCAR) June market analysis shows that the Port Aransas real estate market is still recovering from Hurricane Harvey. For the month of June 68% of the residential sales were priced under $300,000 and closed in 25 days. This reflects a large number of cash transactions. Condo inventory remains limited and the progress of Hurricane Harvey repairs vary by development.